Vacuum systems are a popular tool for many types of contractors on drilling field, especially for no dig drilling field, like HDD. There are three primary types of uses, each of which requires slightly different configurations and specifications. 1. 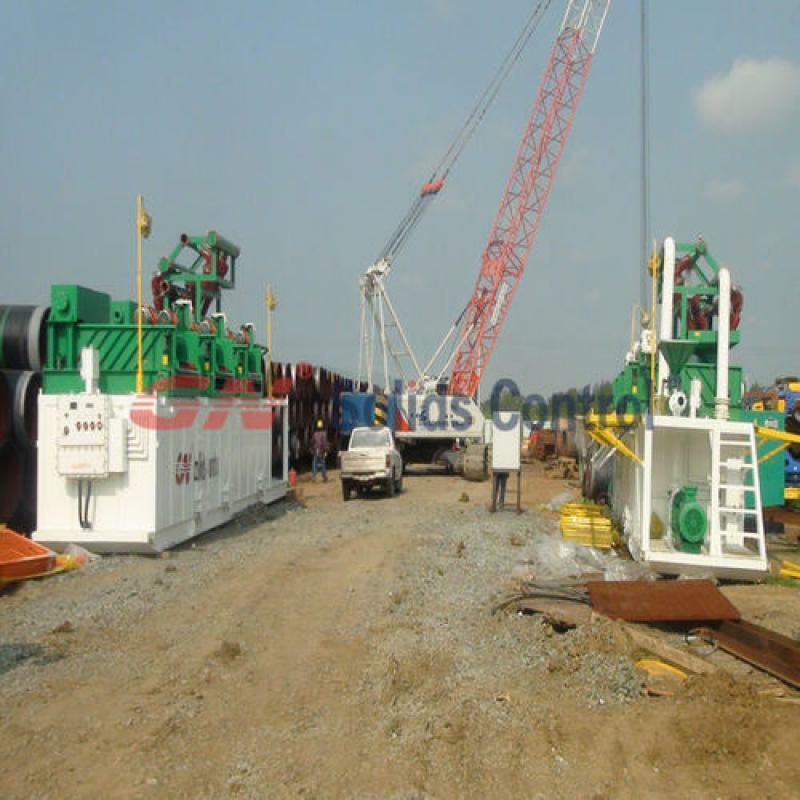 Support HDD unit (transport drilling mud, expose utilities, etc.) Tank size should be large enough to hold drilling mud that can be hauled off from rig site. Tools to allow for using high pressure water or air to “dig” the hole are necessary. Also need a tank large enough to hold the “spoils” created during the digging. Must generate enough water pressure to effectively clean the pipe.Must also have a large water tank (for use in the washing). Vacuum pump is kind of transfer pump utilize high vacuum pressure to transfer drilling cuttings, dust, solids, etc… It is widely used together with drilling waste management system for un-landed drilling waste management. To transfer drilling cuttings for high G dryer shaker or vertical cuttings dryer. The vacuum system utilize good sealing to avoid any disposal drop to the ground for pollution. It can keep the jobsite clean.